There exhibition featured four different marketing stunts. 1. Make your own video. The SeaWorld representatives had iPhones queued up to film visitors dancing against a snowy backdrop. Then they played it back for us, now dancing along with virtual penguins! They told us that we could do this at home with their Epic Voyage app, along with a few other cool activities. They’re going to email our video to me at some point tomorrow, so I might post it below. 2. Become an explorer. 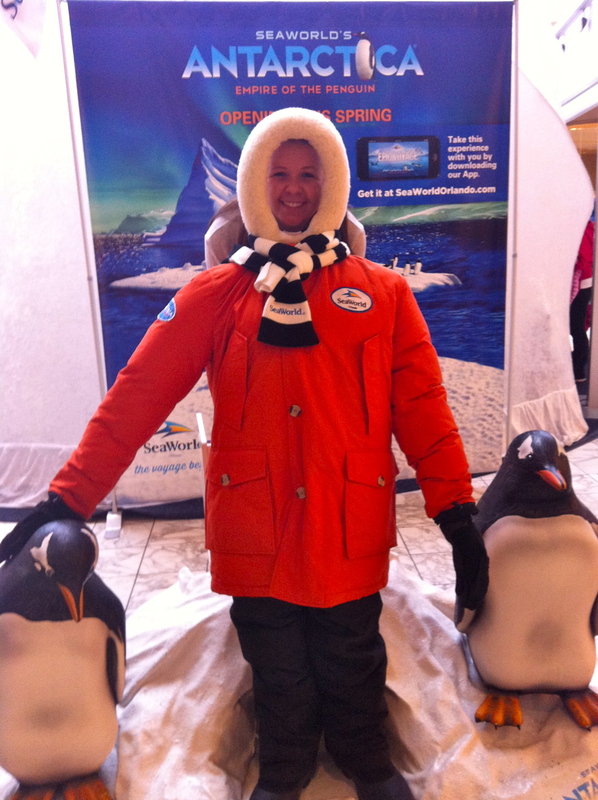 There was a classic face-in-a-hole photo opp where we could pretend to be in Antarctica, working for SeaWorld. 3. Play IceQuest. A claw machine with small rewards inside either cost a quarter, or a shout out on social media. This was a really clever way to get fans interacting on Facebook and Twitter. 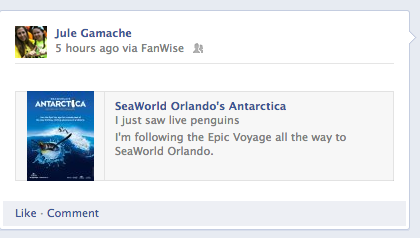 For those of us with smartphones, SeaWorld got lots of mentions by the visitors who didn’t want to pay the quarter. Pretty clever, if you ask me. 4. Enjoy CocaCola freestyle. The tour, obviously sponsored by CocaCola, also had one of those awesome Coke machines that let you choose from every flavor possible. Everyone got a free cup of the soda of their choosing, a simple and effective way for visitors to remember the Coke brand. All of these activities surrounded the main event, an igloo in the center that housed live penguins from SeaWorld Orlando. 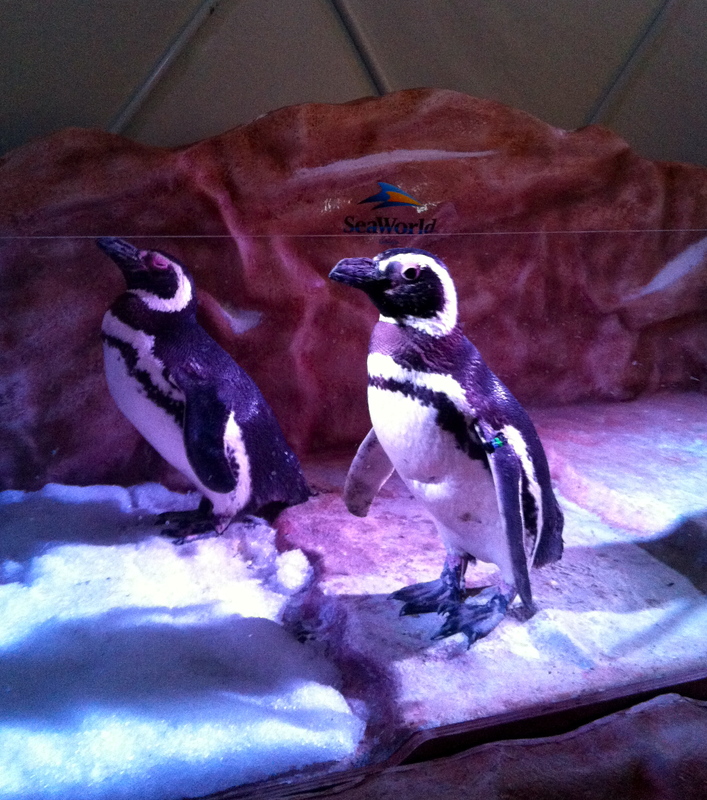 We got to meet Penny and Pete, two of the four penguins that have been flying cross country to visit people everywhere. This was the coolest part of the event for me. 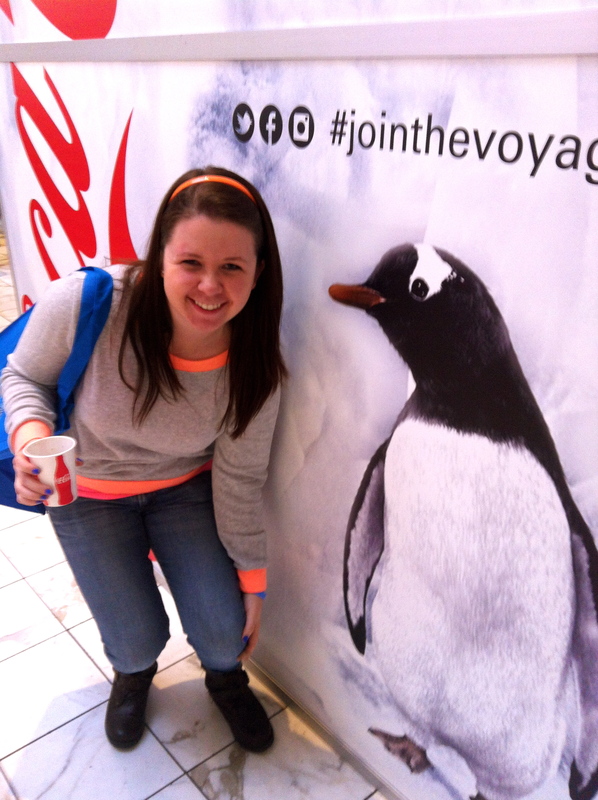 How often do you get to see penguins… in a mall… in the middle of Pennsylvania? Overall, SeaWorld Orlando has done a fantastic job with this promotional tour. I would love to be part of a team that invents ideas like this. I cannot wait to go visit Antarctica for real this summer. Until then, I can play with my new app and admire the penguins from afar. ← $12,374,034.46 FOR THE KIDS!